Since 2004 I have attended the World Press Photo Exhibit with my pal McKill. Our first year was in DC while every year until now we viewed the show at the UN Building in NYC. 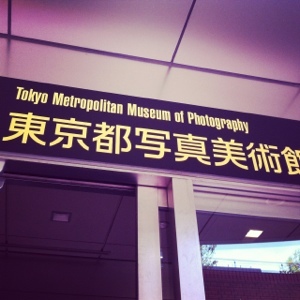 Last week I went solo to see the wonderful exhibit at the Tokyo Metropolitan Museum of Photography. Wasn’t quite the same without her! Located near the JR Ebisu eki the photography exhibit was a reminder of the tragedy, beauty, and incredible world we live in. Of course, there was no photography allowed in the museum, but you can view all the galleries online. Many of the stories were extremely compelling but a couple of the news categories covered the Japanese tsunami. The photo essays were extremely emotional for the viewers and even myself. 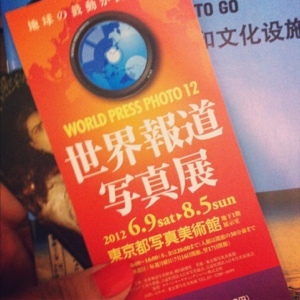 The World Press Photo Exhibit will be in NYC August 15 – September 9, 2012. If you are unable to stop in I truly recommend checking out the website and planning a visit to your nearest exhibit next year! I know where I will be, and who with!